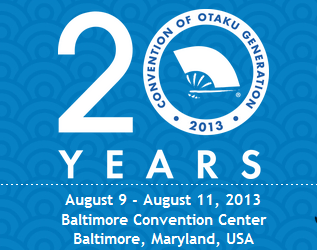 Otakon, the annual anime convention held in Baltimore near the tail end of summer, has hit its 20th year milestone and is celebrating that in style! This year’s production has already featured some big names like TM Revolution, the singer who paired up with Nana Mizuki to perform Valvrave the Liberator’s “Preserved Roses” opening theme! But arguably the most sought-after performance will be none other than the Otakon Sunday concert which will feature Yoko Kanno and Chiaki Ishikawa! Right now, it’s really hard to tell what will go down. According to the site, it says that Yoko Kanno will be performing something called “Piano Me” which will consist of Kanno on solo piano. But beyond that, the details are sparse. As most anime fans know, Yoko Kanno is responsible for composing music to anime writing the Cowboy Bebop soundtrack as well as, more recently, the soundtrack for Sakamichi no Apollon, better known as Kids on the Slope in the West. Chiaki Ishikawa will also get a chance to showcase her skills as she opens up the concert. For those not aware, Chiaki Ishikawa performed the evergreen opening song to Bokurano, titled “Uninstall” as well as the ending theme to Majestic Prince, through a song titled “Sayonara Tteiu”. In the past, she’s also worked as a part of See-Saw on the .hack franchise. Given all that’s out there, I’d say that this year’s Otakon experience beats out the Anime Expo experience by a stretch, as fun as the latter was. Because of that, we’ll look forward to seeing how things go down and the impressions thereof!